The long wait is over as the new Samsung Galaxy S9 | S9+ are now available in the Philippines! Samsung Galaxy S9 and S9+ hit stores nationwide today! These sought-after handsets were announced in the Philippines last week and they have kept Galaxy fans waiting for their nationwide availability. But they're here now! Reimagine the way you communicate, share, and experience the world with Samsung’s most advanced smartphone camera to date. The Samsung Galaxy S9 and S9+ are equipped with a Super Speed Dual Pixel 12MP rear camera with autofocus (AF) sensor and optical image stabilization (OIS). The Galaxy S9+ has an additional Telephoto 12MP rear camera with AF sensor. Both units possess Dual Aperture (F1.5/F2.4) and feature an 8MP front camera (F1.7). With these enhancements, the camera adapts like the human eye, adjusting to super low or bright lighting conditions with ease. With the Super Slow Mo feature, the Galaxy S9 and S9+ make everyday moments epic by capturing up to 960 frames per second -- four times slower than standard slow-mo settings. The Galaxy S9 and S9+ also allow you to express yourself in the best way possible with Augmented Reality (AR) Emoji. It's your very own virtual mini 3D model which imitates your expressions accurately. You also get to learn more about your surroundings with Bixby, Samsung’s intelligence platform. Integrated into the camera, it can provide useful information about your current surroundings via real-time object detection and recognition, and translate foreign languages and currency with Live Translation. For reimagined and cinematic entertainment experiences on-the-go, the Samsung Galaxy S9 and S9+ sport the almost bezel-free Super AMOLED Infinity Display and are equipped with AKG-tuned speakers and Dolby Atmos technology. 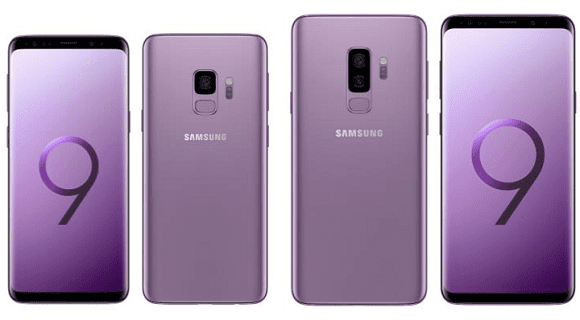 The Samsung Galaxy S9 and S9+ operate on 4GB and 6GB RAM, respectively, and can accommodate expandable memory up to 400 GB. The smartphones also come with IP68 water and dust resistance and boosted security via iris, face, and finger recognition. The Samsung Galaxy S9 and S9+ are now available in the Philippines with a suggested retail price of PHP 45,990 and PHP 52,990 at standard 64GB, respectively. The Galaxy S9+ will also be available in 128GB at PHP 55,990 and 256GB at PHP 60,990. The flagship duo come in Midnight Black, Coral Blue, and the new chic and stylish shade, the Lilac Purple. Visit the Samsung Galaxy Studio located at Bonifacio Global City or your nearest Samsung Experience Store now!